Max Marin interviewed Iraqi novelist Inaam Kachachi — whose novel American Granddaughter was shortlisted for the International Prize for Arabic Fiction (IPAF) in 2009 — about her IPAF-longlisted novel, Tashari, the reason she writes, and injecting adrenaline into literary writing. Max Marin: Four years have passed since you published your last novel, American Granddaughter. When did you begin writing Tashari? What were the first difficulties you faced after you began writing? Inaam Kachachi: Perhaps the difficulties weren’t so much in writing the novel as in finding the time for it. I’m a journalist correspondent for a daily newspaper, and a housewife, and these jobs consume all my time and energy. But there’s a corner of my mind designated for the sport of “lost time,” and that’s where I map out the novel I intend to write. The idea then continues to grow there — character features, specific conversations, sentences — which I then hurry to record in a notebook. When my publisher started asking about the promised novel, I put everything on hold and began seriously writing it. At any time day or night, I’d be in front of the computer screen until I completed the text. For years I’ve been collecting the content and the documentation for Tashari and transposing it into fiction. The writing itself took me over a year, but don’t forget that I’ve been working with the language and a trainer about the editing for over 40 years. The pregnancy period was long, but eventually a child was given birth without a c-section. MM: Like The American Granddaughter, Tashari also deals with struggles of Iraqis who have been scattered across the globe, but unlike your last novel, Tashari stretches back to the 1950s and looks at a larger family dynamic. What was your source of inspiration for the new novel and how was it different from the last novel? Iraq was a lovely country to live in. But there were bad omens, black crows perched on its branches. IK: I was inspired by the female characters that fought to give my generation a civil society in which we could study, work, love, travel, and live our lives in a sensible way. Iraq was a lovely country to live in. But there were bad omens, black crows perched on its branches. They struck with war, transforming the country into a sectarian society, sending millions of citizens outside its borders. My main concern in writing fiction is to make use of the past and record its details as a kind of legacy, one that I may leave to my children and those who come after us. This is the Iraq that I carry with me as a sort of amulet in my writings. I strive to draw the features of its protagonists, both the good and the evil. My two children were raised in France. They don’t believe that I was in Baghdad when I first read Sartre, Nabokov, Simone de Beauvoir, Camus, Rimbaud and [Louis] Aragon, that Baghdad was where I watched the movies of Costa-Gavras and Claude Lelouch, where I listened to Dalida, Mirielle Mathieu, Charles Aznavour, and Léo Ferré. We read the classics, 1001 Nights, political theory, economics. We read hundreds of novels translated from English, French, Russian, German, and Turkish. This is the Iraq that I carry with me as a sort of amulet in my writings. I strive to draw the features of its protagonists, both the good and the evil. Why? Because I’m heartbroken by what we have come to with ignorance and extremism, to the degree that even the poetry festivals Iraqis excelled in have fallen upon religious and sectarian lines. MM: What is the meaning of the word “Tashari” and why did you choose it for this novel? IK: “Tashari” is a local word for a hunting rifle that scatters buckshot in several directions. Despite the strangeness of the word and its difficulty for the non-Iraqi reader, I didn’t find a more suitable title for a text that talks about the dispersal of a single family across every country and continent for several generations. Perhaps the picture will seem more forceful when we [the readers] see the grandfather’s grave in Basra and his wife’s grave in London, and the children’s bodies that may very well be spread across graves in Sweden and the Arabian Gulf and Canada. Do you know people who live such a curse? MM: I quite liked your decision to use this particular dialect word as the title for the novel, despite the difficulties it may present for the reader. How do you feel about using dialect in fictional writing in general? Do you think that Arabic literature can benefit from mixing modern standard and dialectical Arabic? IK: I’m not for the use of dialect in writing novels because it invariably becomes an obstacle for the larger Arab readership. However, I don’t hesitate to insert a local word or song here and there where I find that it is superior to modern standard Arabic in expressing the situation and the atmosphere of the characters for the reader’s benefit. For the most part, it’s not my intention to explain the meaning of the word for context, and so even choosing the title “Tashari” was a risky decision for me. Still, after thinking through the numerous titles, I found that it was the best one to convey the Iraqi diaspora. MM: Have your thoughts and feelings about the Iraqi Diaspora changed between the two novels? If yes, how so? IK: In The American Granddaughter, the protagonist returns to her country to work as a translator with the American Army. She discovers a country she has never known because she emigrated when she was young, and now she is faced with a grandmother who considers her work to be a disgrace and a betrayal. 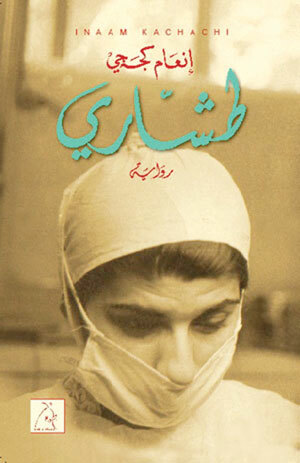 Whereas in Tashari, the protagonist knows her country as well as she knows the back of her own hand. She’s forced to emigrate after she turns 80 years old, no longer capable of dealing with the impertinences of the streets. There are many types of exoduses, their causes diverse. But even among those who remained there, some are suffering the dispersion of those values they were raised to follow, as well as the sectarian segregation of areas that is tearing apart their homeland. MM: Let’s talk a bit about your writing process. Do you find that your work as a journalist informs the way you write fiction, or vice versa? I think that the boundary between journalistic writing and fictional writing diminishes with the more that we experience. IK: Journalism is a profession that has given birth to novelists in every language. I’m indebted to it in that it clipped my language and taught me how to be clear and succinct. I think that the boundary between journalistic writing and fictional writing diminishes with the more that we experience. So today, when I’m my shaping journalistic reports, I place them in fictional frameworks very similar to those of literature. For this, they designate the journalistic achievement with the word “story,” because a story has elements of thought, pacing, and suspense. The best of these journalistic assignments have allowed me to travel around the world, experience diverse things, and encounter characters that I could never have dreamed of meeting had I gone into another career. Several of these experiences and characters appear in journalistic content, and some of them remain captive, half-forgotten in notebooks and in office drawers until the moment comes to release them into novels. MM: Why do you write fiction? What does long-form fiction offer that long-form journalism does not? IK: Because there are these ideas growing in my mind. Stories emerge from memory and I find that I have the ability to mess with them in a sensible way, or in a crazy way. For literary writing, it’s a tricky game of finding the energy pent up inside, waking up its nerves, and injecting adrenaline into its veins. I practice this. Because it’s not like journalism, in which you have an objective and you transfer reality as the eye sees it. In journalism, I witness things happen, whereas in the novel I have total control over the fate of the characters. I enter their hearts and regulate their feelings and put words into their mouths that are my own. MM: How do you feel about the lack of female writers nominated for the prize this year? Do you agree with the idea that an international award should not take gender into consideration? Though I’m hoping that there will be a prize for those who are under 40 years old and another for those who are over 40, so that the older folks don’t steal the youth’s opportunities. IK: Two women were nominated this year. I don’t know the jury’s criteria as I’ve only read a small number of the novels competing for the prize this year. Generally, I don’t think the jury’s choice is subjected to gender and nationality. Though I’m hoping that there will be a prize for those who are under 40 years old and another for those who are over 40, so that the older folks don’t steal the youth’s opportunities. Max Marin is a writer living in Amman, Jordan.